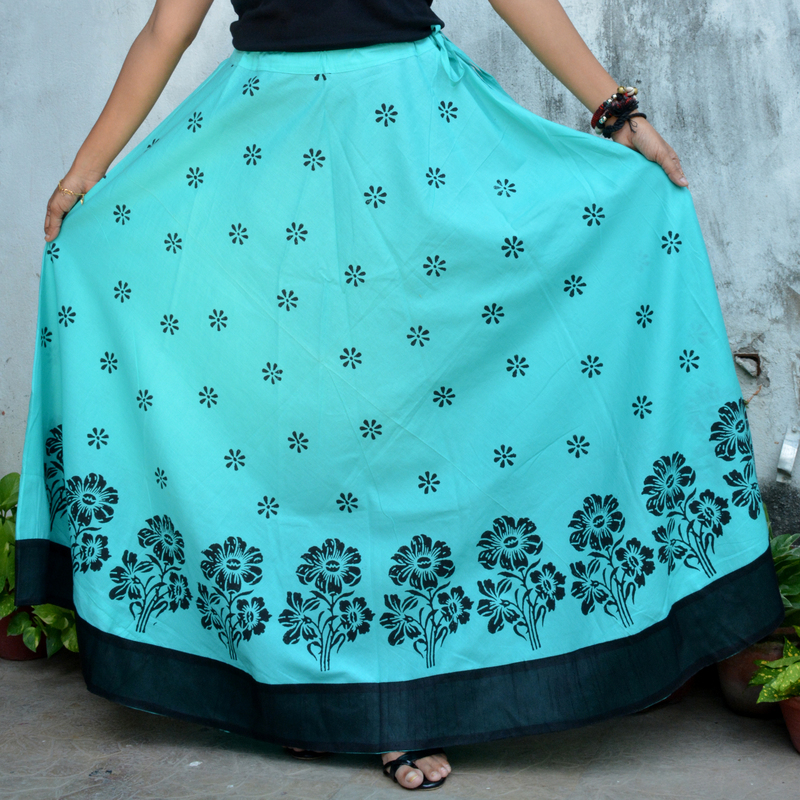 Gypsy Skirts as the name suggests are long flowing skirt in umbrella cut to give it that extra flare. It has been designed in such a way that the skirts don’t tangle while you walk hence the length in the front is bit short than the back. 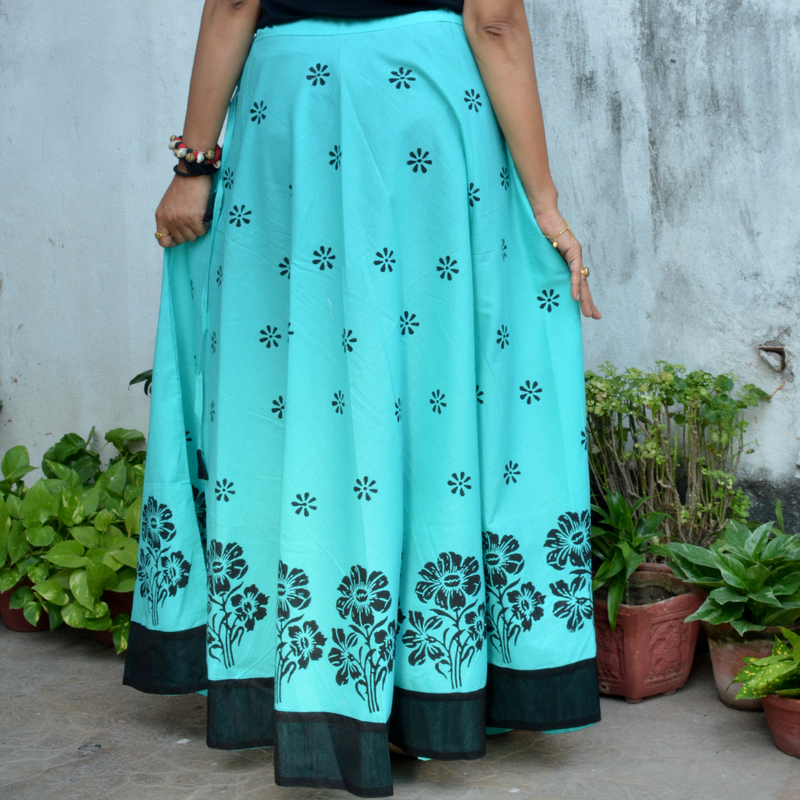 The waist is adjustable as it has a long draw string to fit all sizes upto 38”.